Currently, domestic Phellodendron is rare and its output is small. 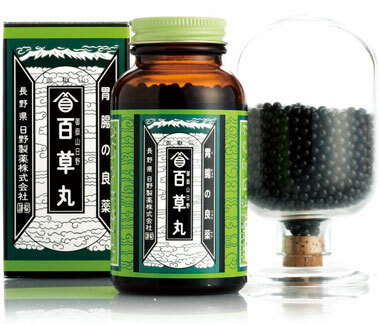 Gentei Hyakusogan only uses domestic Phellodendron and is sold in a limited quantity. “Gentei Hyakusogan” is a gastrointestinal drug which is a combination of the Phellodendron Bark extract using only the rare domestic Phellodendron (Phellodendron Bark) and 5 powdered herbal medicines, which are also contained in the regular Hyakusogan. It improves symptoms such as lack of appetite, the after effects of excessive eating and drinking, heavy stomach, and nausea from stomach and intestinal disorder. Depending on the symptom, take the medicine before or after meal. From years of experience in manufacturing medicine, we have developed our own components and their combination quantities to create the pills. Hyakusogan is suitable as officinal medicine for those who are concerned about their stomach and intestines. What is the difference between Gentei Hyakusogan and Ontakesan Hino Hyakusogan? Ｑ．What is the difference between Gentei Hyakusogan and Ontakesan Hino Hyakusogan? Ａ．The production areas of the combined herbal medicine, Phellodendron Bark extract are different. Gentei Hyakusogan uses domestic, and Ontakesan Hino Hyakusogan uses foreign Phellodendron Bark extract. Ｑ．If the only difference is the production area, are they that different? Ａ．The content of berberine, the active ingredient of Phellodendron Bark extract, in the domestic extract is 1.2 times more than the foreign extract. The Japanese name Gen-no-shoko (actual proof) derives from its immediate effect. Used for antidiarrhea medication, intestinal remedy, diuretic, and restorative, and also used for external usage. Used for water metabolism disturbance to improve the symptoms caused by retained body water. Used for those who have weak stomachs to improve various symptoms which accompany when maintaining stomach and intestines. Used for stomachic and intestinal remedy. Bitter stomachic which has stimulatory effects on saliva, pancreatic juice, bile, as well as gastric juice. Used for symptoms such as digestive irritation and hyperemia because of its anti-inflammatory action. The Japanese name Senburi derives from its strong bitterness that it is still bitter after being decocted one thousand (sen) times. Used for gastrointestinal diseases as bitter stomachic or intestinal remedy, and also as hair growth tonic and for skin diseases.